If you live in Lake Station, Portage, Chesterton or nearby and are experiencing a problem with flooding water, pipe bursts, or humidity, you've come to the right place. At Stash Property Restoration, we specialize in water removal and cleanup of all types, and we're ready 24/7 to help you. We offer 24-hour emergency service and other disaster restoration services in the Indiana area. Contact us today by phone or e-mail to get started on returning your home's value and condition. At Stash Property Restoration, we offer a variety of solutions to these problems. We serve Chesterton, Lake Station, Portage and many nearby areas, including Cicero, Gary, South Bend, Berwyn, Orland Park, Lemont, Valparaiso and other parts of Indiana. 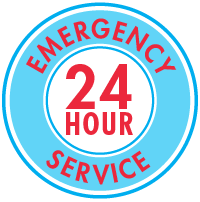 For a 24-hour emergency service, you can reach us by phone 1-844-385-9367 or contact us online today!